Great for school fetes, fundraisers, etc. Set your own rules, ie. 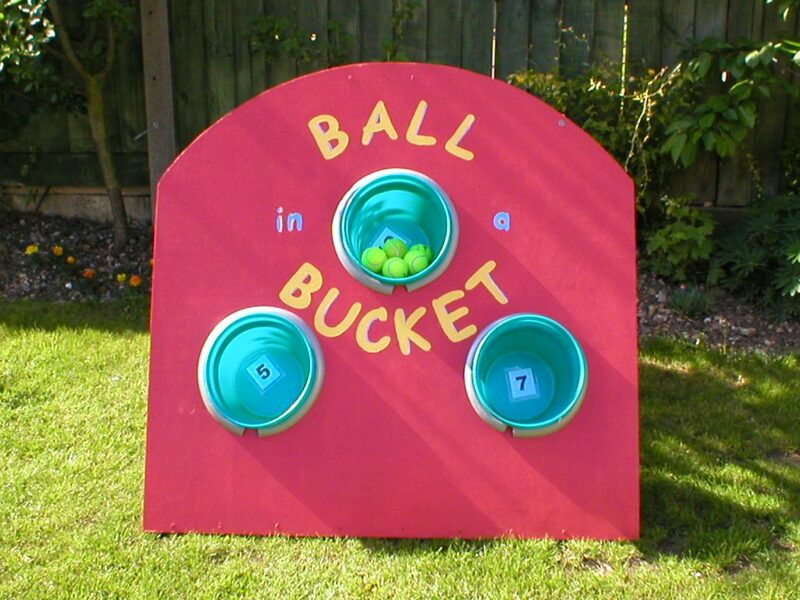 throw 3 balls, if one lands in a bucket you win a prize. To make the game harder simply increase the distance between the bucket and the thrower. Large size – 4′ wide x 46″ high – will fit in a large wide family car only.